This is the basis on which Ayurveda is built. Within the body, there is a constant interaction between order and disorder. When the body becomes imbalanced and there is more disorder than order, a Panchakarma can be a highly effective process to bring balance and order back into your being. 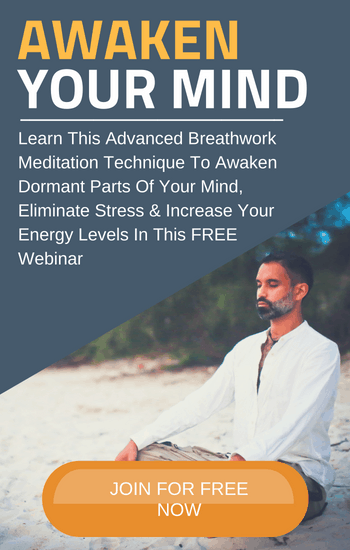 Bring balance and order back into your life using SOMA breathwork techniques. The basics of Ayurvedic Doshas. The 5 types of Panchakarma cleanses. How to cleanse your body and restore balance at home. Before you begin a Panchakarma, you will need to understand you body’s Dosha type. According to Ayurveda, every single person is a unique combination of universal consciousness, made from the five basic elements: Air, Water, Fire, Earth, and Ether. Vata – A combination of Air and Ether. Pitta – A combination of Fire and Water. Kapha – A combination of Water and Earth. These three organisations of the body affect your body type (for example how easily you gain or lose weight) as well as your personality traits and the types of illnesses and ailments you are more likely to experience. Every person has a different proportion of each Dosha. You might be totally Vata, Pitta, or Kapha predominant. Or, perhaps you are Vata-Pitta, Pitta-Kapha, or Kapha-Vata predominant. Rarely, someone will be Vata-Pitta-Kapha predominant. This balance of Dosha type is unique to you, and is your own natural order. Your health is negatively impacted when the balance is disturbed. Sometimes this imbalance can be dramatic, and you may experience multiple minor or major health problems. This is where Panchakarma comes in. Ayurveda states that releasing toxins from the body is key to preventing disease. Panchakarma is an intense cleansing process that purifies your body from the inside out. You can go to a Panchakarma retreat for up to 21 days, but some people do a lighter version of Panchakarma in their own home. Vamana is the process of therapeutic vomiting to eliminate the mucus build up as a result of excess Kapha. If someone is prone to colds, coughs, and asthma, it is a sign of excess Kapha. Therapeutic vomiting is also related to diabetes and chronic indigestion. Emotions that are stored in the stomach and lungs can be released in this process. Once vamana is complete, you will feel instantly lighter, any wheezing or breathlessness will have disappeared, and you will have a clear mind and a clear sounding voice. Afterward, it is recommended that you rest, fast, and release bodily urges whenever you feel the need. The second method of Panchakarma, virechan, is related to excess Pitta. Excess bile produced and accumulated in the liver and small intestines can lead to rashes, skin inflammation, acne, nausea, and jaundice. Virechan, or purgation, is the act of ingesting an Ayurvedic laxative. This is to restore the Pitta balance in your body. In fact, this process can totally cure the problem of excess Pitta. The third cleansing process of Panchakarma is an enema. Vata is the force that is most active in diseases. Vata is stored in the large intestines and bone tissue. You reach the root cause of disease by controlling Vata through basti or enema. The nose is the doorway to the brain and to consciousness. Prana, life force energy, enters the body through breaths inhaled nasally. Prana is found in the brain and maintains sensory and motor functions, regulates mental activities, memory, concentration and intellectual activities. Nasya is a nasal massage. Here is how to do it: each morning and evening, dip your little finger in ghee. Slowly begin massaging the inner walls of your nose in a clockwise motion, then counterclockwise, gradually working your way up. Do not be forcible in this process, but aim to eventually insert your finger as far as it will go. Ensure that you keep your fingernails very short, so you don’t damage the delicate mucous membrane in the nose. In time, your breathing pattern will change, emotions will be released, and your eyesight may even improve as the days go on. The intestinal tract absorbs nutrients into the body. The same goes for toxins in the intestinal tract. This leads to conditions like hypertension and other circulatory problems including rashes, acne, and chronic itching or hives. The final method of Panchakarma is to detoxify the blood system. Pitta and blood have a very close relationship: an excess of Pitta in the blood causes toxicity. Traditionally carried out with leeches, releasing blood from the body by other means is also widely carried out today. Letting blood causes the spleen to produce anti-toxic substances boost immune system activity. Toxins in the blood are then neutralised, which results in dramatic improvements or cures from many blood disorders. Panchakarma is an extreme form of purging and cleansing. It is a big commitment that commands a lot of respect for Ayurvedic traditions. Some people choose to create their own milder version of Panchakarma at home. This article has shown you the basics of Ayurvedic Dosha types, and outlined the 5 core principles of Panchakarma. Panchakarma is a process of great depth, and there are some treatments excluded from this article, such as Shirodhara – the act of pouring warm liquids on your forehead. The truth is, it is not necessary to go these extreme lengths to cleanse your body. There are much more readily-available processes that require less effort but still produce maximum results. SOMA Breath techniques combine the ancient yogic wisdom of Pranayama with modern day science. This allows you to access your “inner pharmacy”, purify your blood, increase your energy and mental clarity, increase your longevity, and even heal faster from illnesses and ailments.